To examine (1) incidence rates for treatment with addictive anxiolytics and hypnotics in Norway, (2) the proportions initiated by general practitioners (GPs), psychiatrists, and other physicians, and (3) the course of the treatment among incident users during a 3.5 year follow-up period. Data on all prescriptions of anxiolytics (ATC code N05B) and hypnotics (N05C) dispensed to the general population from 1 January 2004 to 31 August 2009 were extracted from the Norwegian Prescription Database and merged with data about GPs from the Norwegian Regular General Practitioner Scheme. One-year incidence rates per 1,000 inhabitants were 18.2 for anxiolytics, 24.5 for hypnotics, and 35.4 for anxiolytics and hypnotics combined. GPs and psychiatrists initiated the treatment to 75.4 and 2.4%, respectively. Only 30.8% received short-term treatment as recommended. Long-term use (11.8%) and heavy use (1.4%) were most common for treatments initiated by a GP, but the risk both of long-term and of heavy use was highest for patients initially treated by a psychiatrist. The amount redeemed during the first quarter was the strongest predictor of long-term use and of heavy use. However, even during the quarter with highest drug consumption, 81.5% of the patients received <1 DDD/day. 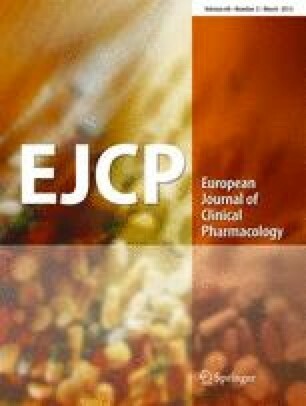 This study indicates that physicians’ prescribing strategy towards initial users is crucial in order to prevent inappropriate drug use. There is a need to implement relevant guidelines and systems for structured clinical audits in general practice. We thank the Fund for Research in General Practice, the Norwegian Medical Association, and the Norwegian Directorate of Health for grants supporting this study. The authors thank professor Stein Atle Lie at Uni Research, Bergen, for his statistical advice.